Have you seen this special TV offer? It's an egg cracker. 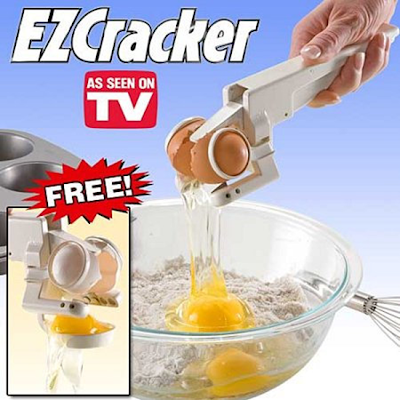 A special device for cracking eggs. And it can be yours for only $19.95 plus shipping and handling. I'm all for invention and innovation, and I certainly want to congratulate anyone with the gumption to create a product or service. I'm sure this is a handy device, but I'd really like to save you some money. So I've decided to make a special offer. You can click here to download my new eBook, How to Crack Eggs for Free. With the exclusive information contained in this book, you will be able to crack eggs without an egg cracker, thereby saving yourself $19.95 plus shipping and handling. 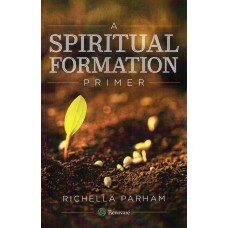 As a special service to my readers, I am offering this eBook free of charge. For a limited time, you may simply click here and help yourself to this money-saving offer. Let me know what you do with your savings! Ha! I have to laugh at that because I posted something very similar to this a few months back. It just kills me that people actually fall for such things... seriously?! Thanks for the laugh! I've seen that thing and thought the same thing as you. We always laugh at the depiction of the person who is trying to do whatever without the advertised gadget, how they can just hardly manage...the disgusted look on their face like "oh, cracking eggs is such a hassle!" hi! I just stumbled across your blog! Umm I haven't seen that egg cracker thing before, but that is h.i.l.a.r.i.o.u.s. You are too funny!! I laughed out loud, thanks for making my day! Oh and..... Whew!!!! So glad I saved the $19.95 lucky I found your blog!!! Oh that is great!!!! LOL I have never heard of it but am not surprised! We are so lazy in this country aren't we? Too funny! Thank you for making me giggle this morning. I am going to share this link with my husband. He will get a real kick out of it! Have a great weekend!!! Visiting from Amanda's!! I have to know...how much in royalties from your E-book have you made this week? Thanks for linking up! Thank you so much for creating and sharing these nice pieces of blogs. I am a proofreader by profession and a blogger. Keep sharing more like these blogs.